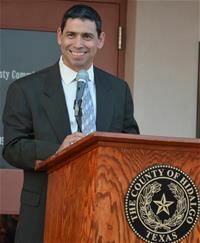 In a last minute push to rally support for the $190 million drainage bond and commit themselves to transparency, two county commissioners and the Hidalgo County Drainage District No. 1 general manager held a news conference Tuesday afternoon. Precinct 1 Commissioner David Fuentes and Precinct 2 Commissioner Eduardo “Eddie” Cantu detailed how the $190 million bond would be directed to 37 drainage projects intended to protect property from floodwaters. Hidalgo County Drainage District No. 1’s board, composed of county commissioners, called for a $190 million bond election, in response to major flooding in June throughout portions of the county, predominantly affecting Fuentes’ precinct. The district plans to add 14 drainage improvements in Precinct 1, if voters approve the bond, aimed at alleviating flooding in Weslaco, Donna, Mercedes and the Delta area, among other locations. 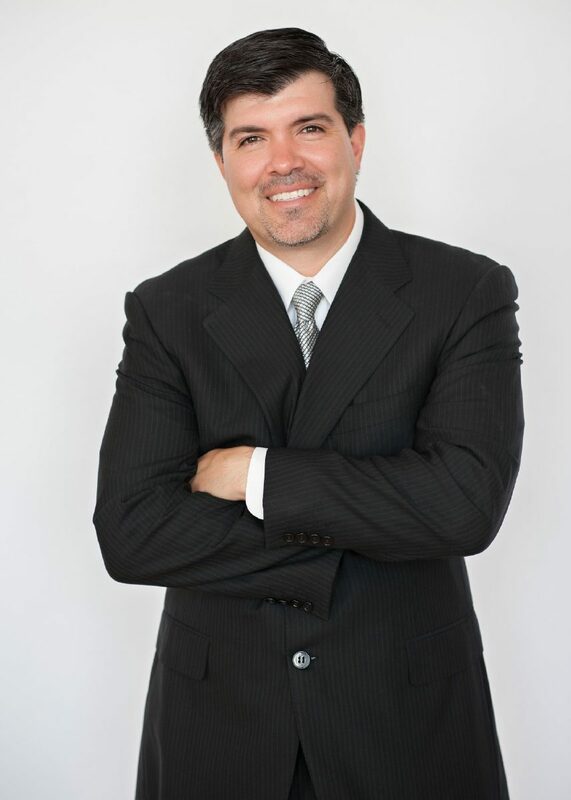 Commissioner Eduardo “Eddie” Cantu represents Precinct 2 in Hidalgo County. With early voting well underway, the drainage district wrapped up its series of 19 bond meetings on Oct. 25. The drainage district distributed pamphlets, detailing how the 37 projects would benefit the county’s four commission precincts. Drainage district representatives also worked alongside nonprofit organizations ARISE and La Unión Del Pueblo Entero to spread the word about the bond election. As of Wednesday, 92,537 residents in the county, many living within the drainage district, submitted ballots at early voting polling locations or by mail. The last day to vote early is Friday. As part of the commitment to transparency, the drainage district will disclose on its website all firms contracted to work on 37 projects, according to district General Manager Raul Sesin, who added the status of projects will also be available for public view. Some residents are wary of how bond money might be spent. Before Fuentes was elected, drainage bond money was not used for previously designated projects in the precinct, officials said. The Weslaco City Commission anticipates some Precinct 1 proposed projects will benefit the city. Randy Hall, a resident of Weslaco and chairman of the city’s newly created drainage committee, regularly attends commission meetings. Immediately following June’s flood, he called on the city to update infrastructure to prevent future flooding. “Nobody wants to have taxes raised, and I don’t, but to really accomplish anything substantial, it’s going to take a lot of money,” Hall said of the bond, adding he plans to hold Fuentes accountable for the projects promised to Precinct 1. If voters approve the bond, residents owning property within the drainage district will see a 3-cent tax increase per $100 property valuation. For a property valued at $100,000, an owner would pay an additional $30 per year. “What we’re pledging to do with this money is (it’s) not going to get diverted anywhere else,” said Cantu, who represents Precinct 2. The bond would be used for seven projects in Cantu’s precinct, including one in the Las Milpas area. Many of the drainage projects would be placed on hold, if voters reject the bond. The $190 million bond would be used to hire outside engineering firms to work alongside the drainage district crews to expedite the drainage projects. Bond money will also be used to acquire land for drainage improvements.